Johanna Pommer works at the Gösser brewery. 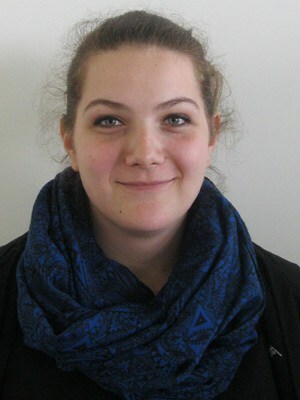 She is also studying Engineering and Production Management at FH JOANNEUM. She explained to us what the co-op degree programme means, the advantages of combining studies and employment, and why she chose this route. In addition to lectures and examinations at FH JOANNEUM, Johanna Pommer is also completing practical training in a company, in her case with the Gösser brewery. She has now been employed there for four years, including during her course. That works well because Engineering and Production Management is organised as a co-op programme. In contrast to standard part-time degree programmes, the lectures are held in sets of blocks, rather than every weekend. This allows the students to dedicate themselves to course work over several weeks, and then apply this newly gained knowledge in the following weeks of practical training. “I’ve already completed a Bachelor’s degree in Production Technology and Organisation at FH JOANNEUM, and greatly enjoyed the course. That’s why I decided to take the subsequent Master’s degree in Engineering and Production Management. One factor in my choice was definitely the co-op nature of both programmes,” explains Johanna Pommer, who before this programme had attended a technical secondary school (HTL Bulme) where she specialised in industrial engineering with a focus on production and operating technology. At the beginning of the Bachelor’s programme Johanna Pommer worked directly in the production process – “on the production line”. Depending on the length of the training phase and the theoretical knowledge she had acquired at university, she implemented projects in a variety of areas, whether in project management, quality assurance, production optimisation, or bottling. The form of cooperation between FH JOANNEUM, the training enterprise and students can differ on co-op degree courses and ranges from small projects undertaken by individual students as part of their studies to large-scale projects jointly completed by all the students in the year, to Bachelor’s and Master’s theses. In her final theses Johanna Pommer deepened her knowledge in two different areas; in her Bachelor’s thesis she designed the material flow and operational planning for a new canning line. In her Master’s thesis she is currently focusing on the topic of sustainability. The Gösser brewery describes itself as a “green brewery” and relies on renewable sources of energy. Johanna Pommer’s thesis explores how to further improve the key energy indicators. “For me the advantage of a co-op degree programme is that even during the course we gain lots of work experience. The companies view us in a very different light to full-time students, most of whom only have the opportunity to complete a longer internship in the summer to become acquainted with the business processes in practice. Students of co-op programmes have a better chance of getting a job in a higher position after graduation.” It is also likely that Johanna Pommer will be able to stay with the company after completing her Master’s programme.